The term “wiki” comes from Hawaii and means “fast”. It is a web application that allows a group of people to work together on Internet pages. The content is posted immediately without the need for an editorial team to approve it. A wiki can be used for writing text together. Low threshold: you can be involved in a wiki without prior knowledge (also technically). You give your students the possibility to publish, and become an author themselves. No web design experience required: anyone can start a wiki. Free if you do not take your own time into account. 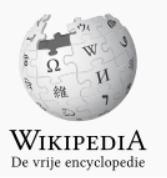 Always up to date: A wiki is online so you always have up to date information available. Ideal for collaboration: a wiki is a very good tool to work together on a project content (wiki as a collaboration tool, see further). Open Structure: your wiki has a very open structure, meaning that anyone can edit everything for the better or the worse. Chaos: if you start a wiki, there is no upper structure and organization, which can make it rather chaotic to other users. No Displays / folder structure: the creation of a wiki is very simple: you can create only pages. So you need to think of a good, unique page name when creating a page. Layout: the layout of a wiki will never look superb! The formatting options are limited or should be created via special codes..